Are you inspired by how Marie Kondo declutter homes in her Netflix series ” Tidying up with Marie Kondo”? This strategy could be used in your HR processes too! Here are some tips on how you can #KonMarie your HR processes. Having multiple systems for the different processes in HR is like having a table with multiple pens, pencils, correction tapes, rulers, erasers etc which you might end up not using it at all. Why not say, ‘Thank you for helping me in those moments” to the multiple systems and streamline all of your processes by using just 1 unified system? “We are very sure you will have a happier HR team as they no longer have to use multiple systems monthly. Remember the moment in which you have to submit your claims yet you are unable to find your receipt? Remember the moment when your desk is cluttered with a month’s worth of claims receipt and you have no idea where to start? Remember the moment in which you have to photocopy the receipt and then stick it on the piece of paper so that the receipt doesn’t fade? What’s more after these? An increase in the number of papers in the file that is sitting on your desk. Picture this now. You are in a shop buying something for the company. After making payment, all you have to do is to take a picture of your receipt and upload it into the system. No receipts. No photocopying. No filing. Does it spark more joy? When it comes to database, a good description for it will be a cluttered wardrobe with shirts that you no longer wear or the same shirt which you have gotten from a 2-day event. This is a common yet scary sight when it comes to those who are using Excel or multiple systems in their daily process. HR professionals who are using Excel spreadsheets or multiple systems tend to experience duplicated records of their staff. With a unified system in place, such duplication will be minimised as the various databases will be unified with the use of just a database. 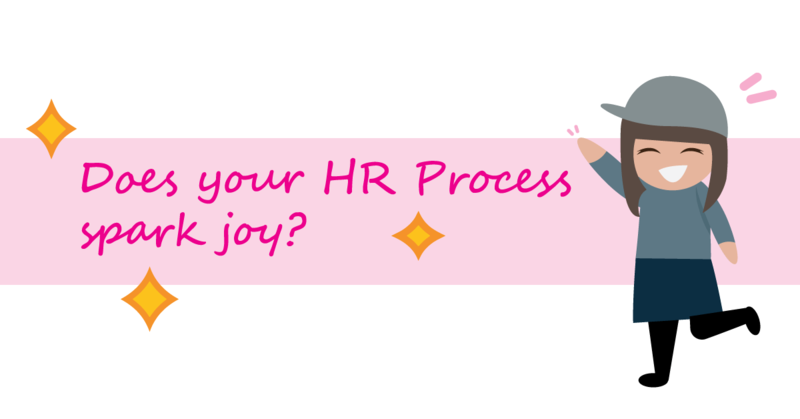 So, does your current HR processes spark joy? If it doesn’t, hit us up here on how to #KonMarie your HR processes today! Payboy is a highly versatile and mobile Human Resources Management System that gets things done anywhere, anytime.